"â€¦ there was nothing to hold ontoâ€”except each other." Set in small town California circa 1956 the original Body Snatchers based on Jack Finney's novel still delivers chills and suspense. Dr. Miles Bennell has been through a harrowing experience, the film begins with him relating the details to a hospital psychiatrist. Back in his town he had been seeing an increasing number of his patients having what seem to be strange delusions that their loved ones are really impostors. As he investigates farther he found that not only were his patients correct but what are they being replaced with and will anyone believe him in time to stop them? 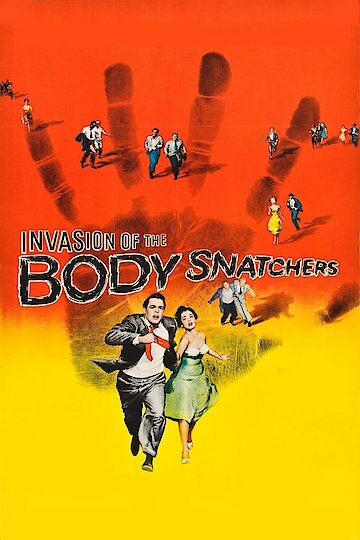 Invasion of the Body Snatchers is currently available to watch and stream, buy on demand at Amazon, Vudu, Google Play, FandangoNow, iTunes, YouTube VOD online.